Duncan Palamourdas teaches poker and chess to small classes which always fill up early. He is known for his incredible energy and enthusiasm. We’re very proud that he was featured in the Daily Bruin, and that his book will be out in 2019. Konstantinos “Duncan” Palamourdas in the OLLI Classroom (Joe Akira/Daily Bruin)Konstantinos “Duncan” Palamourdas uses a “John Wooden approach” when teaching poker strategy. Palamourdas, a UCLA alumnus, wanted to share his distinct perspective on the game from an analytical and scientific standpoint, using math concepts to approach poker. But Palamourdas also emphasizes the fact that players should be themselves, rather than following a certain gameplay template, just as coach Wooden once did with Bruin basketball players, he said. He does this in his basic and intermediate poker classes at UCLA Extension. His philosophy will soon be in print: Palamourdas said he is under contract to publish a book detailing his approach with D&B Publishing, which carries titles by some of professional poker’s biggest names, from Phil Hellmuth to Greg Raymer. Palamourdas’ book is in its editing phase and is expected to be released sometime in 2019. Palamourdas’ initial 2014 email inquiry to the UCLA Extension administration about teaching poker classes was met with stiff resistance, he said. However, he managed to secure a face-to-face meeting with Ric Zappala, current program director at UCLA Extension, with whom he made his case. 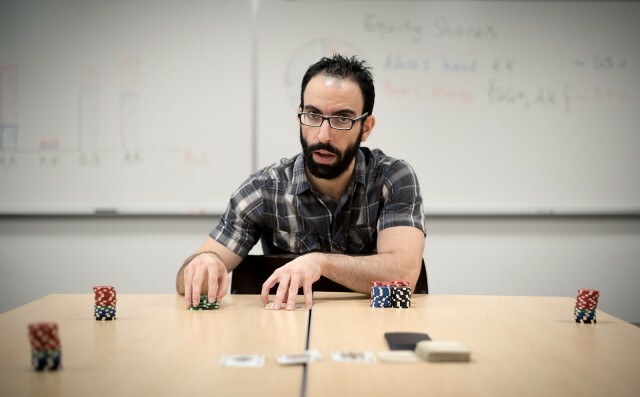 In addition to the mathematical principles behind poker, Palamourdas said he pointed out professors at the Massachusetts Institute of Technology’s Sloan School of Management have already started a poker class; his would not be the first in a respected university. When Zappala understood that what he was teaching was fundamentally probability theory, he approved the class, Palamourdas said. 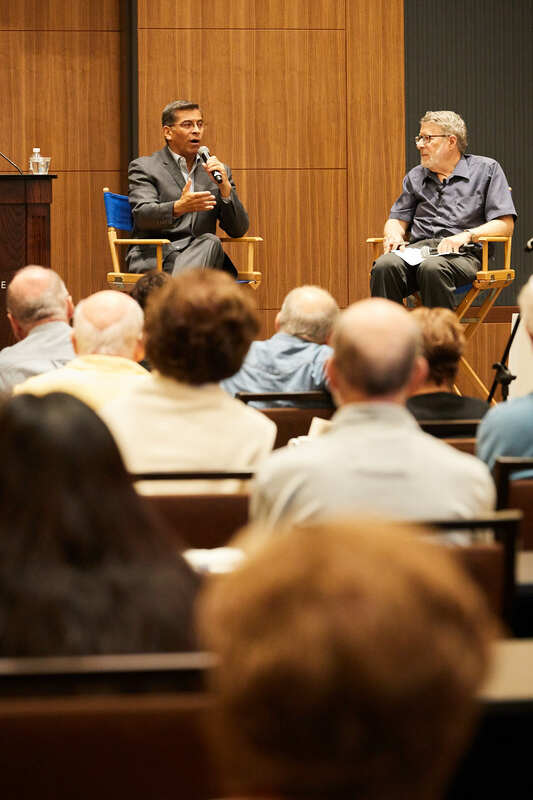 In addition to teaching a full quarter at UCLA Extension, Palamourdas teaches a six-week course to senior citizens at the Osher Lifelong Learning Institute, a department of UCLA Extension specifically designed to serve adults 50 years or older. Phyllis Blaunstein, a retired public policy expert, decided to take Palamourdas’ class with some friends and said she appreciates his teaching style. “He has a gift of turning incredibly complex mathematical concepts into simple and easy-to-understand ideas, and to convey them with humor to engage the class,” Blaunstein said. Palamourdas describes the beginning of his class as being, for the most part, the same as any math class. Before class, he prepares a lecture on a single topic and uses PowerPoint slides, videos, visual aids and pictures to teach the lesson. After the lecture comes practical application – an hour or more of gameplay between students, with him providing live commentary on student moves within each game. An issue that often arises with students is bet sizing, Palamourdas said. Students will often bet too little in an attempt to provoke their opponents to fold, but Palamourdas tries to emphasize to the students that they should bet a larger percentage of the money in the pot than they instinctively want to bet. If you don’t bet big, the opponent will never fold, and if they never fold, then you’re taking the skill out of the game, Palamourdas said. Palamourdas characterizes the typical poker player as one of two archetypes: Alice or Bob, both names commonly used as placeholders in cryptology literature. The Bob player values fun over profit, making bets and moves based on intuition or a sense of excitement. Alice, on the other hand, is always playing to win. Alice values profit over fun. Over time, money will flow from Bob to Alice. However, Palamourdas said he reinforces the fact that either playing style is perfectly acceptable. John Southworth, a retired lawyer and student of Palamourdas, has been helping with the editing process. Southworth said this book is different from typical poker books in that it isn’t a recollection of “war stories” from tournaments past, nor is it an exemplary account of what to do when faced with particular hands during play. Instead, Southworth claims the book frames poker not as a game that changes based on who your opponent is, but rather as a game that can be won regardless of who you’re facing and what cards you are dealt. The popularity of Palamourdas’ classes at UCLA Extension has drawn attention from other parties around campus. Palamourdas said he is in conversation with representatives from the UCLA Anderson School of Management, who have shown serious interest in establishing a business-focused poker class at the school. Palamourdas said his view toward games has always been the same: treating the game like the science that it is, and recognizing that there is no one perfect way to play it. OLLI Instructor Bill Blum will be a panelist this Sunday at LA Trade Tech to address the question: Should Donald Trump, the 45th president, be impeached for what the Constitution terms high crimes and misdemeanors? But playing the impeachment card—especially now, ahead of the elections—may not be the best way forward, even with a president as unfit as Trump. If the history of impeachment in America teaches anything, it’s that impeachment can backfire on its proponents. As a remedy for misconduct, it both overpromises and underperforms. Bill Blum is a former judge and death penalty defense attorney. 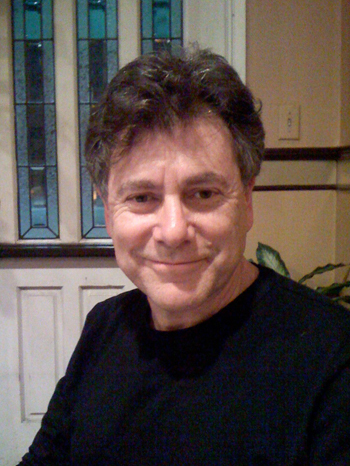 He is the author of three legal thrillers published by Penguin/Putnam (“Prejudicial Error,” “The Last Appeal” and “The Face of Justice”) and is a contributing writer for California Lawyer magazine, and a columnist with Truthdig.com. 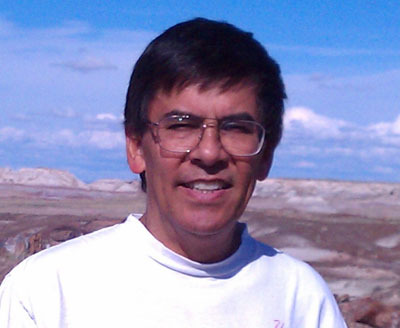 His nonfiction work has appeared in such publications as Crawdaddy magazine, In These Times, The Nation, The Progressive, the ABA Journal, the Orange County Register, the San Jose Mercury News, the Los Angeles Times, LA Weekly and Los Angeles magazine. Sharon Kyle. publisher of the LA Progressive, an online social justice daily magazine, and president of Peoples College of Law . 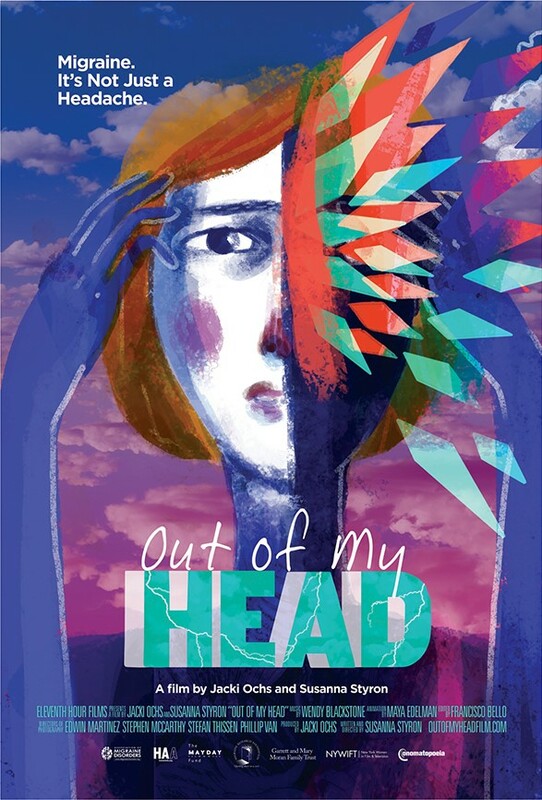 Award-winning filmmakers, Susanna Styron and Jacki Ochs, have produced Out of My Head, a feature documentary that dissects the history and mystery of migraine. It is the first comprehensive feature documentary about this neurological disease and its remarkable place in the human condition. The film illuminates many aspects of migraine, including medical research, personal stories, artistic expression, and spiritual experiences. By looking at the fascinating details, and the big questions too – the source and management of illness, the economic cost of human disability, the nature of pain and suffering – Out of My Head shines a light on the frontiers of neuroscience and the exploration of the brain. Director Susanna Styron’s work has been viewed internationally in numerous prestigious film festivals; via broadcast on HBO, PBS, A&E, Lifetime and Netflix among others; and in theaters worldwide. Andrew Charles, M.D. will join Susanna Styron in discussion after the screening. Dr. Charles is a Professor of Neurology and Director, UCLA Goldberg Migraine ProgramMeyer and Renee Luskin Chair in Migraine and Headache Studies, David Geffen School of Medicine at UCLA. I was fortunate to be able to present, “Robotics, Automation, and Our Changing Society,” as part of the Beyond the Headlines series at OLLI@UCLA. Automation is changing our society in several ways. Driverless cars will cause our infrastructure to change (fewer roadway lanes, parking lots, etc.). Social robots will change our social interaction. Manufacturing will re-shore back to the USA, and become more localized worldwide. One of the most important changes occurring now is job loss caused by automation. The day after the presentation, I asked Mary Ann Wilson, OLLI Program Coordinator, if she had received any feedback. She told me that one member told her that he thought the talk was going to be boring but it wasn’t. It was; however, depressing, just because a lot of people are going to lose their jobs. I appreciated receiving this feedback. I believe the current trajectory of the impact of automation on employment and inequality is negative. For example, about 3% of all full-time U.S. jobs primarily involve driving (e.g. trucks, buses, taxis). Due to rapid advances in driverless vehicles, those jobs are at risk in the next few years. Just automating driving will create a big employment problem, considering that normal U.S. unemployment rates are around 5%, very high unemployment is around 10%, and the unemployment rate during the Great Depression peaked at around 25%. This is just the tip of the iceberg. However, I am also hopeful that we can steer this along a positive path, and I hope to better communicate this in my future presentations. Automation will cause job loss. Should this be depressing or encouraging? It depends on how we handle the situation and how an individual values their job as part of their life. If you or your friend won the lottery or were born into a wealthy family, would you be depressed about this? Probably not, at least not initially. With sufficient wealth, you could continue working in your current job or do something else. I believe most of us would do something else. The long-term outcome of your life would depend on what else you chose to do, but at least you would have more options, such as attending more OLLI courses. The effect of losing your job because of automation could be like winning the lottery, or being born into a wealthy family. The key to winning this automation lottery is capital ownership. If you own the robot that took your job, that is a good thing. If somebody else owns that robot, it is a bad thing for you. We should all own automation. Unfortunately, most of us have limited ownership of automation through our stock market investments in companies that use automation. The majority of capital ownership is now concentrated within a small segment of our society, a situation called wealth inequality. With this current situation, automation is enabling inequality to grow, and at an increasing rate. More automation creates more job loss and more wealth concentration to the owners of capital. What can be done? The solution that is most frequently proposed is universal basic income (UBI), which would tax the owners of automation, and redistribute this income to everyone. It depresses me that people, politicians in particular, think this is a practical way to address the problem. It could work in theory, but I am skeptical. The owners of capital will fight against this. They are the ones who wield political power and will shape this policy if implemented. If you cannot find a job, how likely is it that a program like this will provide what you need? Universal basic income would be better than doing nothing, but I think we can do better. A better solution is to solve the root cause of the problem, which is capital ownership. We should transition the ownership of automation to a broader segment of our society. One way to accomplish this is though 100% employee-owned companies that are focused on developing and using automation. Initially, your jobs at such a company would be the same as investor-owned companies, and with similar pay. However, the income derived from the deployment of capital would go to the employee/owners, and not passive investors. Employees could invest capital to join, or they could buy in though sweat equity. Employee ownership could have other significant benefits. Employee/owners would decide what the company policies should be. They could decide to not move the company to another country, not to pollute the ground water in their community, and not to award their CEO excessive compensation for implementing short-term policies that cause long-term harm. And, they could decide to voluntarily share the growing pool of capital with others, and how to wield the political power of their company. My goal is to create a company like this, and I hope people will want to join or build other companies based on this concept. I encourage you to think about these issues and possible solutions, and take direct action. Lifelong ownership of automation could be very positive, and enable more lifelong learning for people of all ages. OLLI power! I grew up in Kansas City and spent as much time as a could on my grandparents’ farm in central Missouri. There I saw the whole life cycle of bones from birth to butcher to table. I have always enjoyed being outside, and I am not sure whether that stimulated my interest in natural history or vice versa. Either way, my interests led me to major in biology at Rice University, where I gained a deep appreciation for the diversity and adaptations of animal life. During medical school at Vanderbilt University I had the opportunity to further explore the workings and failings of human tissues and was particularly attracted to bone. It appealed to my mechanical, three-dimensional way of thinking. These inclinations led to an orthopedic surgery residency at Johns Hopkins Hospital, where I had the opportunity to drill down, both literally and figuratively, on living bone. The residency was interrupted for two years by my military obligation, which I fulfilled as a general medical officer in Turkey. That experience, and the regional travel opportunities it allowed in the Middle East, Africa, and Europe put bones into an entirely new perspective for me—their historic and cultural implications. The ways that the Hittites and ancient Egyptians managed their dead brethren and the ways that various civilizations have used bone as implements, weapons, and ornamentation enhanced my interest in the unique composition and multiple purposes of bone. 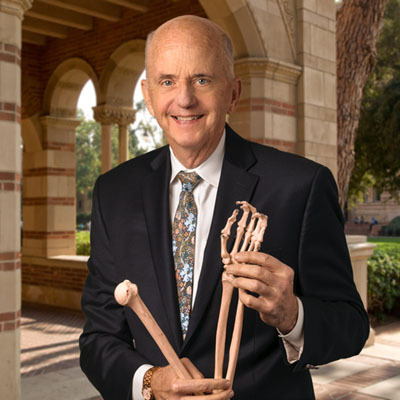 After completing a hand surgery fellowship at Massachusetts General Hospital, I joined the orthopedic surgery faculty at UCLA, where my current title is Clinical Professor. My career in academic medicine has allowed me not only to manage many difficult bone abnormalities in the upper extremity, it has also provided the opportunity to write extensively on these topics. This includes many peer-reviewed journal articles and two books, One Hundred Orthopedic Conditions Every Doctor Should Understand and The Hand Owner’s Manual, A Hand Surgeon’s Thirty Year Collection of Important Information and Fascinating Facts. My interest in writing extends to improving the form and content of the works of others. I have been on the senior editorial board of the Journal of Hand Surgery for most of my career including a five-year term as Editor-in-Chief. Travel continues to interest me, and visits to all of the inhabited continents and 48 states have provided study opportunities regarding my interest in bone. Museums devoted to natural history, archaeology, paleontology, anthropology, maritime history, and even fine art and musical instruments exhibit bones and bone artefacts and vouch for its durability and versatility. I have savoured each visit. I now want to organize my observations and experiences with bone, and in a systematic way share my passion with others. Starting with a blog, www.aboutbone.com and a five-part lecture series in the 2018 winter quarter at the Osher Lifelong Learning Institute @ UCLA, my plan is to eventually turn the collected information into a book: Bone. Supporting Life, Capturing History. 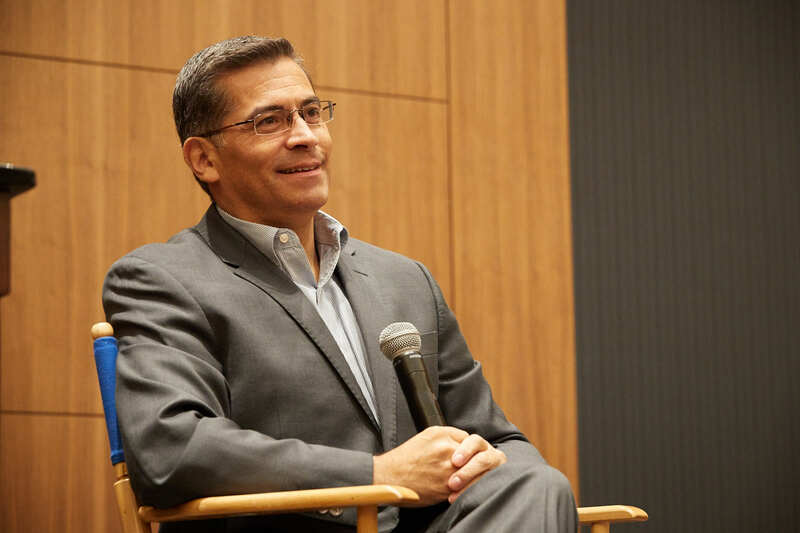 Students of the OLLI course, The Trump Presidency: the Good, the Bad and the Unknown, were treated to an unexpected guest speaker on October 10: California Attorney General Xavier Becerra. The 6-week course is taught by Bob Stern, who has been an observer and participant in elections for the past 40 years and has worked for Congressional campaigns and public officials, including Henry Waxman and Jerry Brown. He is frequently interviewed by news outlets, including MSNBC, Fox News, NPR, the Los Angeles Times and other papers throughout the country on election and campaign reform subjects. The class was also given a location upgrade to the UCLA Meyer & Renee Luskin Conference Center, along with free parking and refreshments. 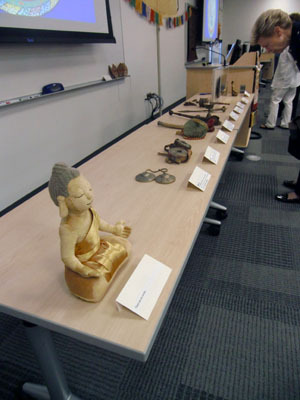 The Los Angeles Daily News covered the event, which you can read about here. You can also hear it on our podcast, which you can find here. 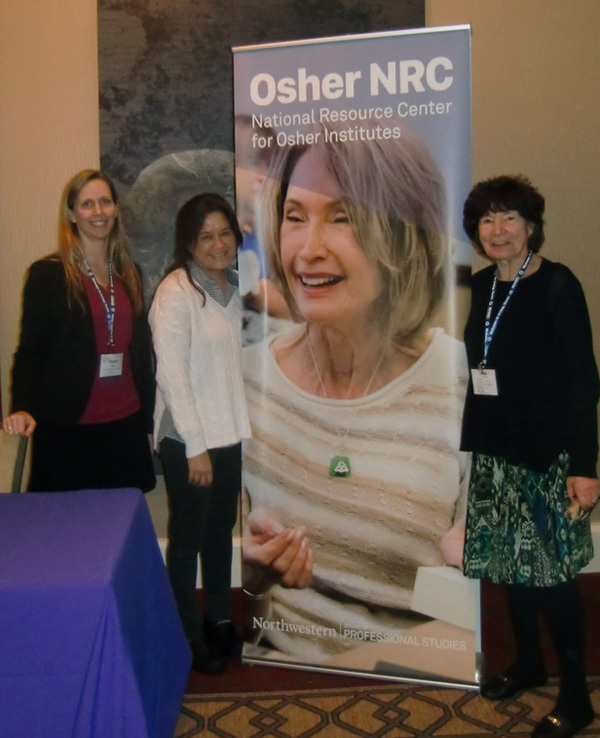 I attended the Osher Institutes National Conference in Irving, TX on April 3-5, 2017 at the luxurious Omni Mandalay Hotel. 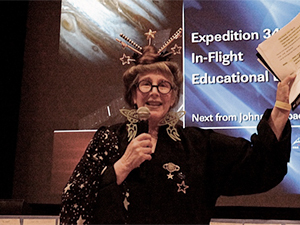 Accompanying me was OLLI’s volunteer, Marlene Zweig, who joined OLLI at UCLA at its inception in 2005, serving as a member of the original OLLI Advisory Council when fewer than 400 persons participated in the program. She continues to serve as a member of the OLLI Advisory Board and Chair of the OLLI Curriculum Committee. It was our first time to attend. We marveled at how well organized the conference was — every meeting was well-run, informative, and stayed on schedule; and the attention to detail was apparent down to the color-coded name cards at the final dinner. All the participants were given flash drives that included the slides and handouts of each session. But most importantly, the food was plentiful and delicious. All this thanks to Stacey Hart, Manager of Operations, National Resource Center for OLLI. We learned that of the 120 lifelong learning programs in the country, no program is like another, nor should be. OLLI isn’t a franchise, they said, but more like a network of bakeries, each one featuring home-baked, delicious cookies. We were impressed by many of these home-baked surprises: a dance program that included not just ballroom and line dancing but a performance of Michael Jackson’s “Thriller”; an acting course on the history of old-time radio that became an active theater performance of a Jack Benny radio show. Which then evolved into productions requiring auditions for actors over 50, featuring such Broadway musicals as Fiddler on the Roof and Grease. Then there were the OLLI members, who with the help of a master gardener, took over a brownfield remediation site and produced 3,000 pounds of fresh produce in its first year and 17,000+ pounds of fresh produce by its fourth year, all of which were donated to food pantries and soup kitchens. We heard from Executive Director of the Osher National Resource Center (NRC), Steve Thaxton; President of the Bernard Osher Foundation, Mary Bitterman; Senior Program Director of the Bernard Osher Foundation, David Blazevich; and Founder and Treasurer of the Bernard Osher Foundation: the one and only Bernard Osher, who is one cool dude. 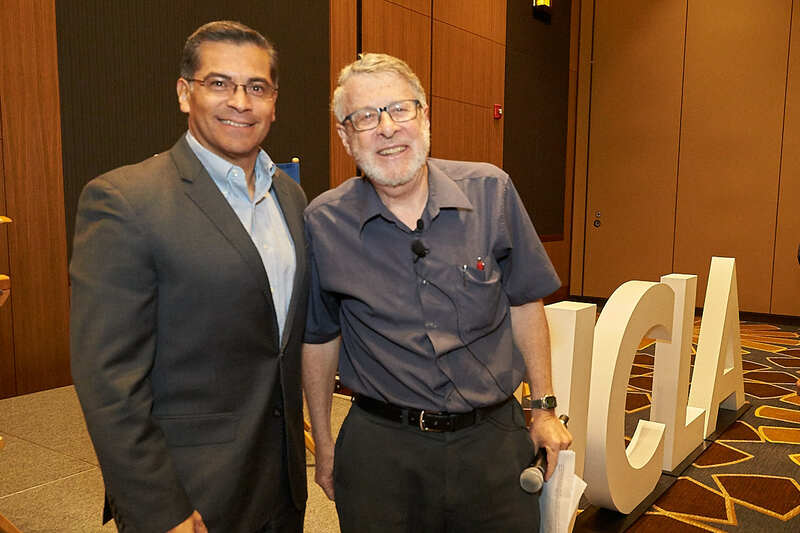 We were inspired by notable speakers, we networked with colleagues near and far, and we returned with a greater appreciation for UCLA Extension, which provides an infrastructure of support we had always taken for granted. At a plenary session on fundraising, one panelist got a round of applause when she said she finally got a development officer. The idea of not having one stunned me. At a new directors’ workshop, we discussed how and if the following offices assisted our work: parking, development, dining services, facilities, mail services, and marketing. One new director said she had none of these services and asked others to tell her how to get them. OLLI at UCLA has all these. Another director told me he was only allowed to use a classroom on campus on Tuesdays and Thursdays. We have our own space in the new Gayley Center with first dibs on two classrooms, a lounge with three personal computers, a TV, refrigerator, microwave, and free coffee. So, thank you UCLA Extension, for making us feel at home. And thank you, Mr. Bernard Osher, for bringing happiness into the lives of 160,125 Osher members in 377 towns and cities across the country. 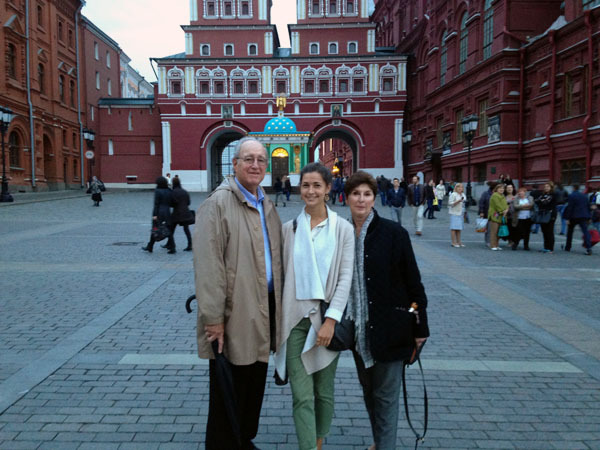 Leonard and Bonnie Blum with ALC student Lena in front of an entrance to the Kremlin and Red Square. My name is Leonard Blum and I am an Osher member. Lena, a student from Moscow, who was enrolled in a class of the American Language Center, asked our Osher class for volunteers to aid their students in learning and practicing English. Coincidentally, my wife, Bonnie, and I were planning a trip to Russia. I asked Dylan if he could please ask Lena to contact me to discuss Moscow. She did. Lena came to our home; we had a delightful meeting with her and she gave us valuable information about her city. Lena then tutored my wife in the Russian language. Our time in Moscow coincided with Lena being at home and we were fortunate to have her as not only our guide, but our dinner companion for three out of four nights we were in Moscow. I thank the Osher Institute for facilitating our introduction to Lena, which worked out for our mutual benefit. 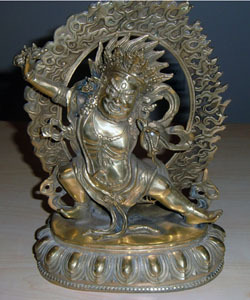 I have been teaching Buddhism over the past thirty plus years, and the most frequently asked question of me is how I got into Buddhism and particularly Tibetan/Tantric Buddhism, a discipline that requires intensive study of Theravāda (classical/individual vehicle) Buddhism for seven years, Mahāyāna (universal vehicle) Buddhism for seven years, and Vajrayāna (Tibetan/Tantric diamond vehicle) Buddhism for seven years. It all began with a telephone call. The call came as my wife and I were chillaxing on the pristine crescent bay sands of the Mauna Kea Beach Hotel, sipping mai tais complete with little pink parasols spiked in pineapple wedges. A “Grand Budapest Hotel” Zero Moustafa type lobby boy paraded by, in red pillbox hat, searchingly pinging his xylophone, “Call for Mr. Parris. Call for Mr. Parris.” I took it on the house phone in the Mauna Kea’s stunning blue tiled entryway. “Don! This will change your life!” Frank, my mentor in the global Big-Law firm at which I was a young associate grunt, always spoke emphatically and was not one for such niceties as “hello” or identifying himself. Straight to the chase; and, as always, he was right—emphatically so. With that salutation, the force-of-nature that was the Senior Partner Chair of our firm conscripted me and my ever-valiant wife into a trek to the base camp of Mount Kangchenjunga, the third highest mountain in the world—“The Five Treasures of the High Snow”—toward the eastern end of the Himalayas. I had never even heard of the mountain’s home, the Kingdom of Sikkim. However, our alpine guide, Sherpa Tenzing Norgay, regaled us for weeks with stories not only of Sikkim, but also of the Himalayas, Tibetan Buddhism, Sherpas, bodhisattvas, tantra, yetis, and his and Sir Edmund Hillary’s 1953 first summit of Mount Everest. After his ascent, Nepal, India and Sikkim fought over Tenzing’s provenance; but first, foremost and forever, he was a Sherpa. Throughout that first trek, the love, care and selflessness the Sherpas and Sherpanis extended to my sometimes struggling wife opened my eyes, mind and heart to a far more evolved life form than the one prowling the hallways of Century City high rises. As Frank had prophesized, the Buddhist cultural Himalayas became my life-changing path, journey and sanctuary. 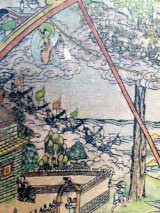 I began “taking refuge” not in the Three Jewels of Buddhism—the Buddha (teacher), the Dharma (teachings) and the Sangha (community)— but, in the more western sense of the phrase. I took refuge in the Himalayas where my clients and office couldn’t reach me; and, if I be completely honest, visa versa. However, for me, it soon became less about escape, and more about quest and inner exploration. I eventually took refuge formally in the Three Jewels and became what Buddhism calls a “stream entrant:” one who enters onto the Path seeking a different perspective and way of engaging life. Decades of learning, scholarship, teaching, guiding and practicing later, I’m still swinging through the branches on that evolutionary continuum; but hopefully soon will be able to walk upright. 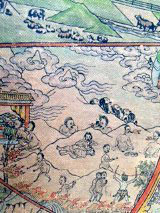 Tibetan/Tantric Buddhism is an orally transmitted and visually encoded tradition. The Buddha cautioned that its accelerated path to enlightenment—nirvāṇa—was as dangerous as it was expeditious; and, accordingly, had to be undertaken only with the guidance of an appropriate teacher or guru. So, eventually, when fully prepared—or so I thought—I introduced myself to my proposed first teacher, the venerable Geshe Phurba in the alter room of his Himalayan monastery. It was not an audition to be proud of. I bowed, I namasted, I invoked an air of solemnity, and ventured, “I wish to become a Buddhist; I wish to become enlightened; I wish to practice anuttarayogatantra,” showing off a bit with the last to convince him I was learned in his ways, familiar with the highest tantric practices, and serious disciple material. Oh, I thought, just a simple misunderstanding. After all, it’s not like I had filled out a formal application for the position. “I have a mind,” I informed him, and promptly proved the opposite by listing everything under my professional CV caption “Awards and Honors:” PBK, Coif, Law Review Editor, JD, Supreme Court clerkship, Big-Law partner . . . .
“Stop!,” Geshe interrupted. “There, you have no mind!” He looked pained, as though it gave him a headache just trying to think down to my level. “But what about enlightenment?” I blurted out. And he promptly got up and walked out. Since I was still in the alter room, I did not actually swear; but I channeled it through every fiber of my body. I had no idea—none—at all. But it felt like a test, so I began studying the image. An hour and a half later, he brought me a cup of foul-smelling and fouler-tasting yak butter tea. It’s an odd and challenging concoction of black brick Chinese tea, yak milk churned to butter, and a generous scoop of salt; all of which is whipped into something of thick soup texture. The resultant taste bears little resemblance to tea, but it is chain-chugged throughout the Himalayas. An hour after the proffered tea, Geshe Phurba returned, motioned me to sit next to him, and asked what I had observed, studied and learned. “Thank you, Jesus” I mumbled silently. 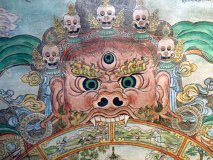 I recited my near-photographic-memory description of the eidetic thangka image: details of the creature holding in his fangs and claws a disc of pictographic concentric circles, of the twelve outer ring images, of the six inner panels including one man chopping down another’s tree, the people with bloated stomachs breathing fire, the wretched souls being boiled, sawed, flayed and dismembered, and of the pig, snake and rooster chasing each other in the central hub. Nailed it! My master shook his head with what I chose not to recognize as profound disappointment, and asked me again what I had learned. I asked what he meant. He asked me to leave. And that was the end of my first teaching with my master. I had been egocentric, not properly intentioned, and not ready to begin. He, however, was infinitely patient, and had actually accepted me as his student. 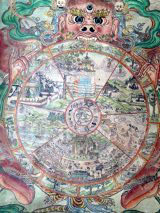 Decades later, I am still studying that image of the Bhavachakra—The Wheel of Life—and I am still learning its teachings. And I have, for decades, as my teacher wished, been teaching Buddhism. The second most frequently asked question of me is what my classes are like, such as my Summer Quarter 2016 course on Tibetan/Tantric Buddhism. I should note my conviction that you cannot simply intellectualize your way along the Vajrayāna/Tantrayāna Path. It is a bit like learning a foreign language; it ultimately requires some period of full immersion in situ. Living in the Himalayas and particularly in a monastery or gompa, being a part of the Buddhist culture and environment, and joining its rhythm and flow, is integral to understanding the Vajrayāna and particularly its Tantric technology. Otherwise, it’s like reading the operator’s manual without ever actually seeing or using a computer. 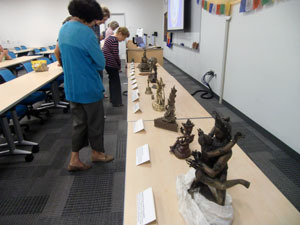 So, in our course, I’ll complement lectures and textual scholarship with (literally) hands-on, decoded visual components including statues, iconography, artworks, thangkas, ritual objects and artifacts. From our classroom chairs, we’ll (virtually) go on a pilgrimage, explore monasteries, enjoy a festival/teschu, travel throughout the Buddhist Himalayas, and live among the people of the snows as they go about their daily spiritual lives. On the experiential side, since this is a contemplative tradition, I’ll try to devote (time permitting) the last five to ten minutes of a few classes to sample abbreviated guided meditations, appropriate for beginners or practitioners, of various types and levels of practice from calm abiding mindfulness, to insight-based investigation, wisdom awareness transformation, and finally just a taste of the anuttarayogatantra or unexcelled yoga meditation. For those who wish to participate, the meditations can be done either in classroom chairs or on the floor (bring your own cushion). The course will analyze the paradigms of classical Buddhism (Middle Way, Four Noble Truths, Noble Eightfold Path, and so forth) without which we cannot understand the more esoteric teachings of the tantra. We’ll explore what is—and, equally important, is not—the Buddhist meaning of suffering/dukkha, no-self or non-self/anātman, impermanence and emptiness/shūnyatā, rebirth and the Bardo Thödol/The Tibetan Book of the Dead, nature of reality, and nirvāṇa. 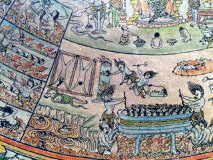 The “great schism” of Mahāyāna Buddhism introduced transformative changes in classical Buddhism based upon penetrating philosophical, scientific and psychological investigations and analyses, which we’ll consider in overview. 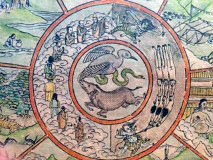 The propagation of Buddhism into the Himalayas encountered and assimilated the indigenous animistic/shamanic Bön religion. The result of these influences was the “Third Turning of the Wheel of Dharma”—Vajrayāna Buddhism—with its paradigm shifts, and singular teachings and practices rooted in the tantra. Throughout, we’ll take a look at the architecture, dance, music and fine arts, and the role they play in Buddhism in the Land of Eternal Snows. Most importantly, I want to encourage free, open and intelligent class discussion and participation on the topics addressed in each session of the course. 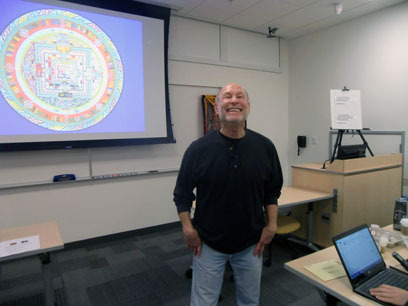 Don Parris will teach Tibetan Tantric Buddhism this summer on 8 Tuesdays, 1-3pm, Jun 21-Aug 9, in the Gayley Center.